For Christmas my wife gave Tyler Florence’s new book “Dinner at MY Place” and there is a recipe for Lasagna Bolognese that I’m going to try today. I’ll take some photos and let you know how it went. 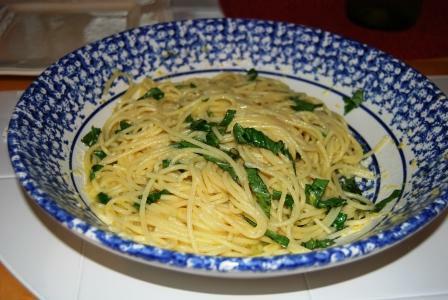 You can use ricotta cheese (1qt with one beaten egg), a little salt, black pepper and fresh chopped Italian parsley – you will use this between the layers of lasagna pasta. and use this in place of the ricotta cheese filling. Prepare 1 pound of lasagna pasta per the package direction and drain in a pasta strainer. A thin layer of bechamel sauce or some of the bolognese sauce if you are using ricotta (note: do not put the ricotta cheese on the bottom of the baking dish – it will burn). 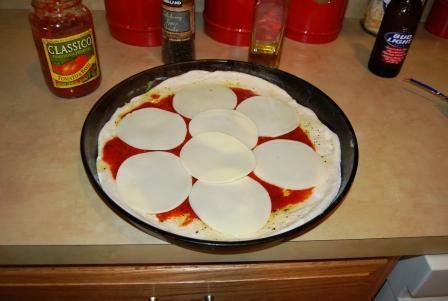 Repeat this until all ingredients are used up and you end with mozzarella cheese on the top. 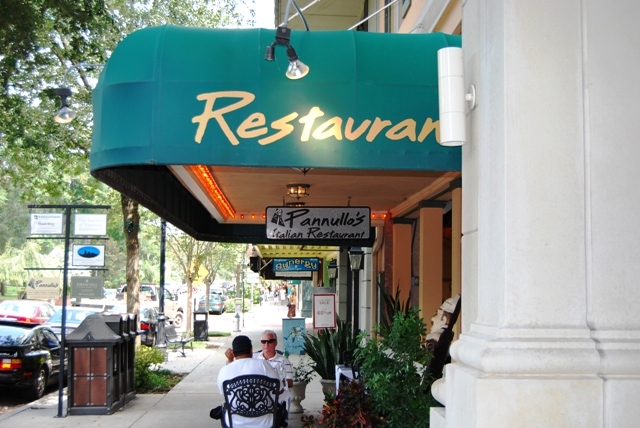 On Friday I went over to Park Avenue in Winter Park for lunch. I wasn’t really sure what I wanted, but I was in a “vacation” kind of mood, so I stopped at Pannullo’s. 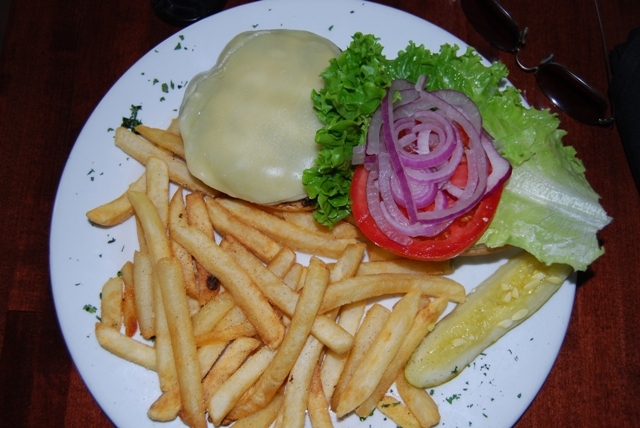 At first I thought about have a pannini or other sandwich, but then I spotted “The Park Avenue Burger” on their menu. Gotta tell ya – the BEST burger I’ve had all year (including the ones I make myself). The wait person told me that they grind their own beef each day. I’m not sure if that was the ultimate secret, but this was a great burger. I had mine done med-well and topped with two slices of provolone cheese, lettuce, tomato, and shaved red onion. 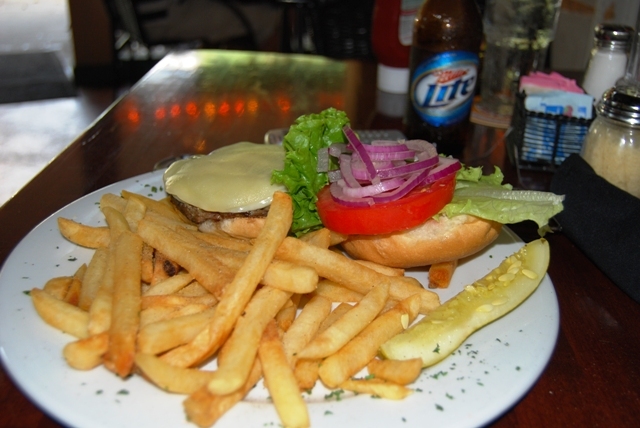 It came with fries – I had a beer with it. Total with the tip $15.00. I’ll go again when I’m in the craving a great burger. Thanks Pannullo’s! Another Friday pizza tonite.. this time I just took from what I had on hand. Leftover meatballs, sausage, and eggplant Parmesan. Very good. 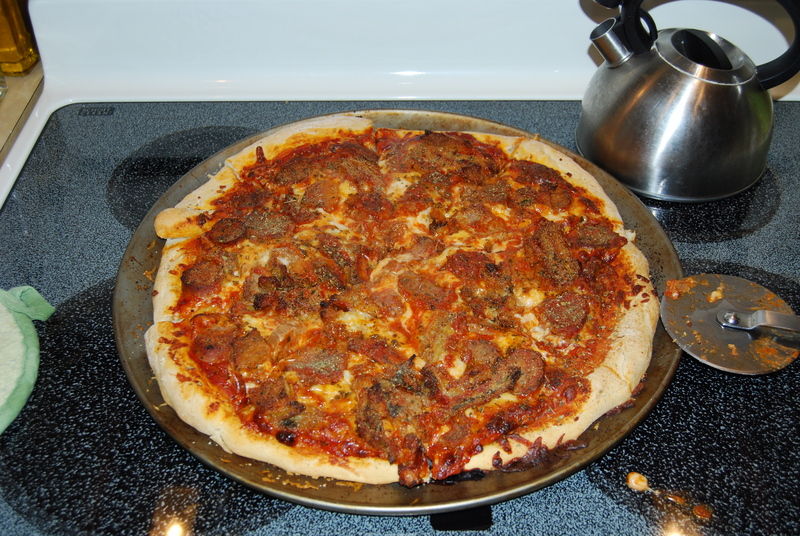 See my other pizza postings for instructions on dough and sauce. I used shredded mozzarella cheese with some good Parmesan cheese on the top. The sauce was just a simple tomato sauce. 1 dough (from supermarket bakery – ask them for one of their Italian or French bread dough – tell them you are going to use it for pizza. Here in FL I can get it at Albertsons or Publix. 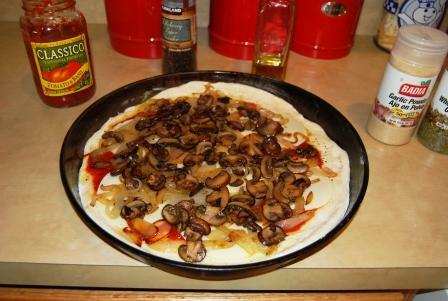 Grease your pizza pan with shortening (omit if you are using a non-stick pan or a pizza stone). 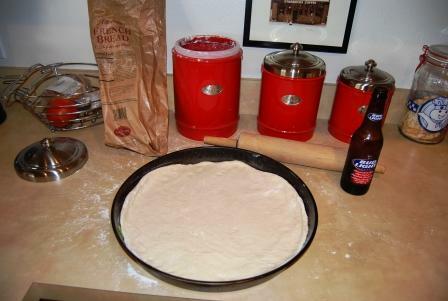 On a floured board or counter top spread or roll the dough (from the center outward) until it is the right size for your pizza pan. 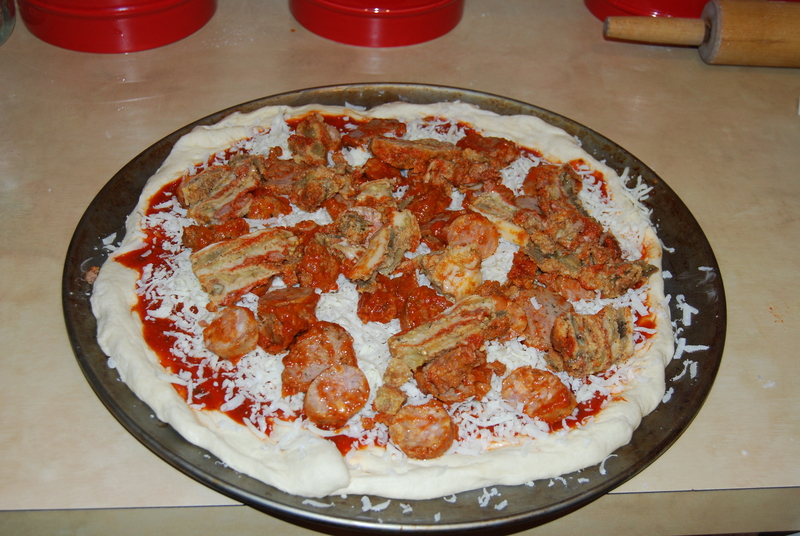 Place on the pizza pan and make your crust edges. 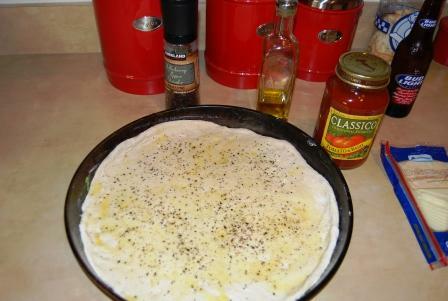 Drizzle the dough with olive oil and spread it out evenly with your hands – then sprinkle with fresh ground black pepper. 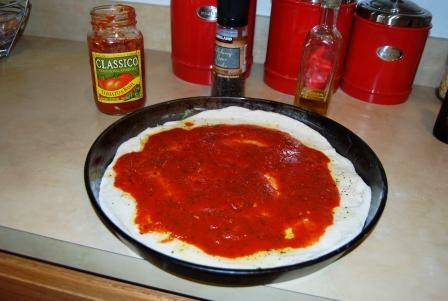 Spread marinara sauce over the dough almost to the edges. Lay on the provolone cheese evenly. 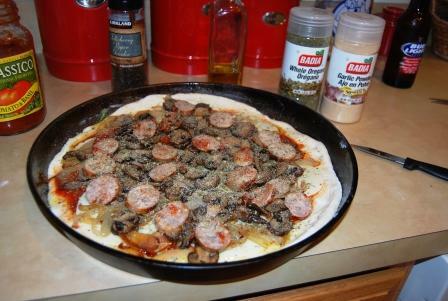 Next add the carmelized onions, then the sauted mushrooms, and then the sausage (sliced into thin circles. 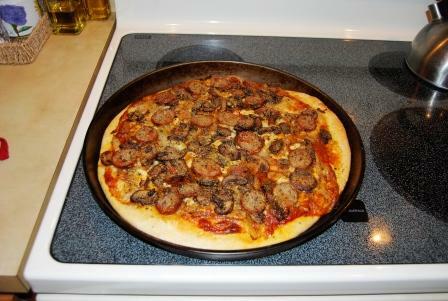 You want the sausage to be on the top so that it cooks thoroughly. Drizzle over the top with more olive oil, then shake on some garlic powder, and dried oregano. 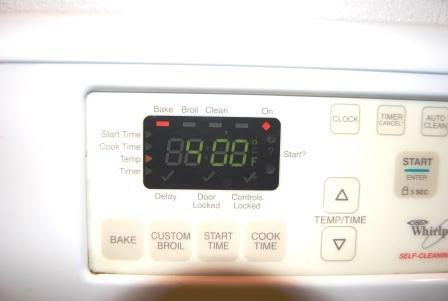 for 20-25 minutes or until crust is desired color and the bottom is well done. 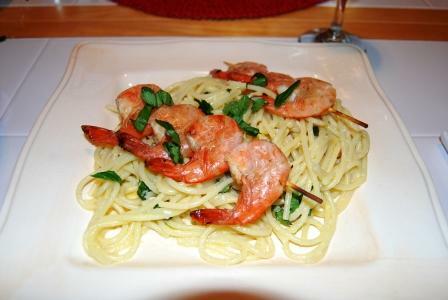 Serve with your favorite beer or red wine and a nice salad.